A Natural Resources Damage Assessment process to provide certainty that a responsible party will address all costs associated with a spill. "When we consider the prospect of a heavy oil pipeline, and of the increased oil tanker traffic that would result, it is clear that our spill prevention and response plans will require significant improvements. Our government has already initiated discussions with the federal government on improving our response plans and resources," said Environment Minister Terry Lake. "This represents an opportunity for British Columbia and Canada to develop world-leading environmental protection regimes." The fourth requirement for the B.C. government to consider support for heavy oil pipeline proposals is First Nations participation. Governments in Canada have a duty to consult and accommodate First Nations, and British Columbia is committed to meeting this test. British Columbia has developed a set of tools to help First Nations to partner with industry and participate in economic development. 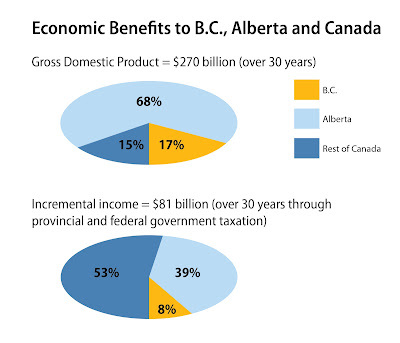 These agreements help to create certainty for development that benefits all British Columbians. British Columbia remains committed to this approach. "We believe the benefits to First Nations from major pipeline proposals must be clearly identified, along with the measures that will help protect against environmental impacts," said Aboriginal Relations and Reconciliation Minister Mary Polak. "As recently as last week, such an approach was endorsed by the Canadian Council of CEOs in their report on Aboriginal participation." Lastly, British Columbia must receive a fair share of the fiscal and economic benefits of any proposed heavy oil project. B.C. 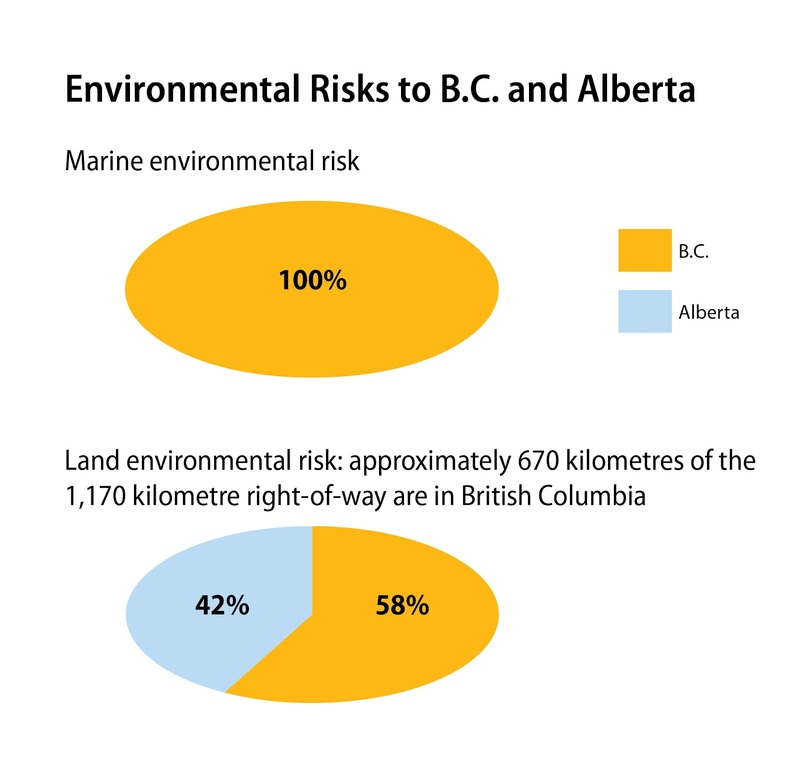 will shoulder 100 per cent of the risk in the marine environment and a significant proportion of the risk on the land should a spill event ever occur. 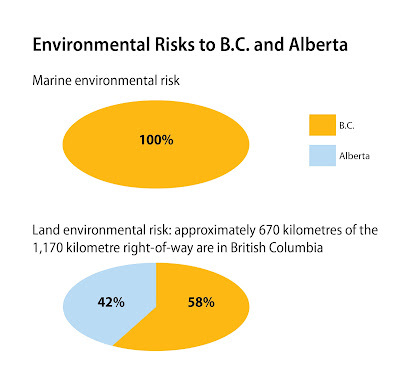 Current heavy oil project proposals do not balance the risks and benefits for British Columbia. "We have identified aggressive environmental requirements and principles for First Nations engagement, and we have clearly stated we expect a fair share of the fiscal and economic benefits for our province," said Premier Clark. "British Columbians are fair and reasonable. We know we need resource and economic development, but we also expect that risks are managed, environmental protection is uncompromised and that generations will benefit from the decisions we make today." Why is this blog publishing gov't PR without analysis? This isn't "news," it's a political position paper with a healthy dose of spin. If the aim of this blog is to be an important alternative source of news for local residents and one that provides much better analysis than we usually find in the local press, then publishing press releases and/or straightforward propaganda provided by either governments or other journalists is a big step backwards. I assume most readers of this blog turn to it for an independent view of the news and an independent analysis: otherwise why would one bother? Readers, such as yourself are free to analysis and comment all you want. In fact I would invite you to present your views on this government press release and explain why it is not news. One of the purposes of this blog is to attempt to engage readers in active dialogue, which I am finding to be less than I hoped for. But then again seems reflective of the participation on most levels, the recent 27% turnout for a civic election being a classic case. With all due respect, one turns to this blog to find your statement of the news and your analysis. A press release itself is not news. A story about a press release dealing with its key points and offering an assessment of what they mean would be news -- if not exactly news analysis. The latter would take it another step, offering a rigorous appraisal. While apathy often reigns in Nanaimo and there is no easy cure for it, it seems to me that the opportunity to take shots at press releases is not likely to attract much interest. As editor, you could set the stage for debate by providing your own digest and analysis of this (or any other controversial) press release, offering that up in a prominent spot on the blog. If reactions appear on the same page as the analysis, more readers will see them and perhaps that may help generate a discussion thread. Thank you for your input. I had hoped in addition to my opinion,that readers, such as yourself would share their opinion also. I disagree that I need to offer my opinion on everything published here, including press releases coming from different levels of government. However, for the most part, apathy does seem to reign supreme in Nanaimo on a great many levels. Have you, yourself offered any discussion on things such as local city hall events and some of the questionable policy regards taxing and spending in our fair community? Or the lack of transparency which seems to be a culture at city hall?